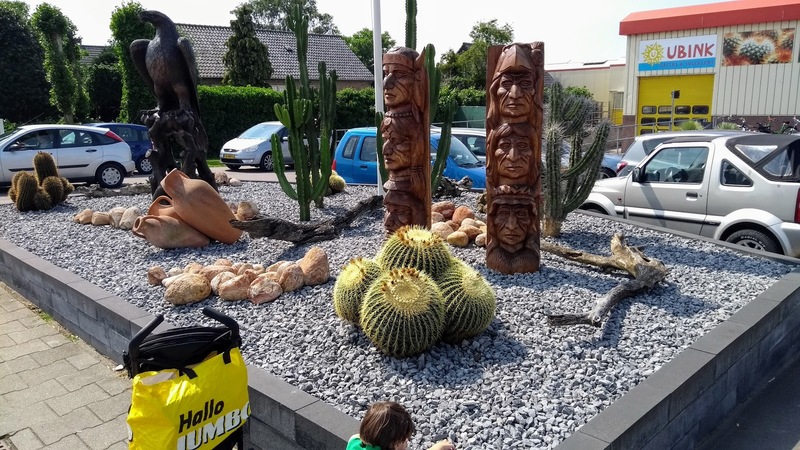 Gypscoprotheres: Cactus show at Ubink's! Hello again! 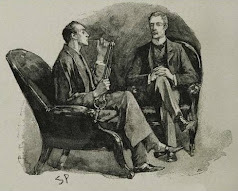 Sometimes I write three posts a month and sometimes only three posts a year. This is my first post this year and definitely not my last! As some of you might know, we went to visit our family in Brazil this year. It was the first time for our son to meet that part of the family and we all had an amazingly good time. Arthur loved it over there! Within one week, our little Batavian turned into a Brazilian kid; running around on Havaianas, talking Portuguese. 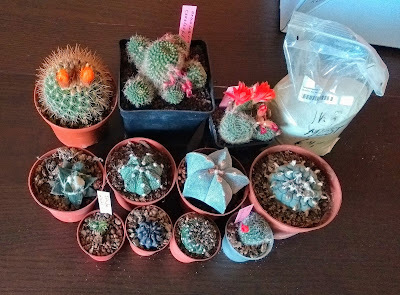 Normally I buy my seeds somewhere in January or February, but this year I was in Brazil during that period, so what could I do?! Then I found the solution in a Brazilian hypermarket, close to my mother-in-law's house: "mixed" seed packages. Nice! 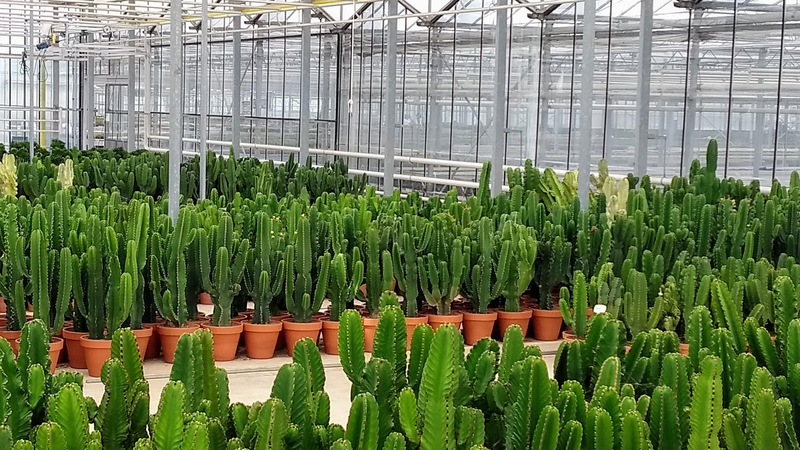 They're growing well and although I don't know it for sure yet, they might be Saguaros or Echinocereus grusonii-s. Time will show. 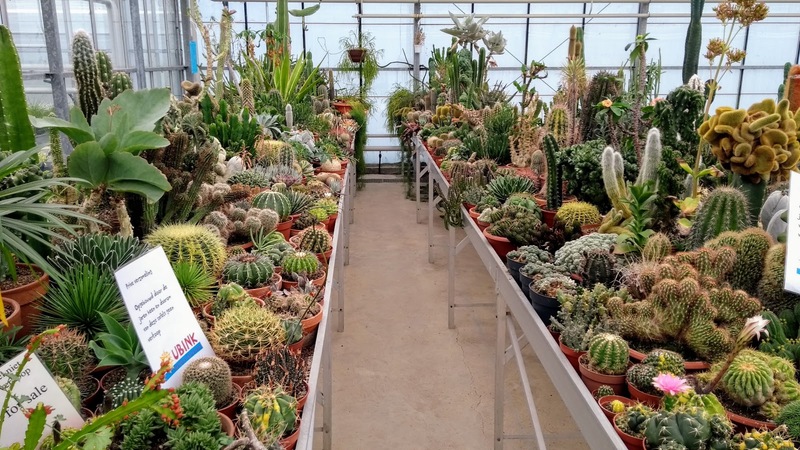 The Cacti & Succulent show at Ubink's! Since last year, this great event became a special father-son day for Arthur and I. 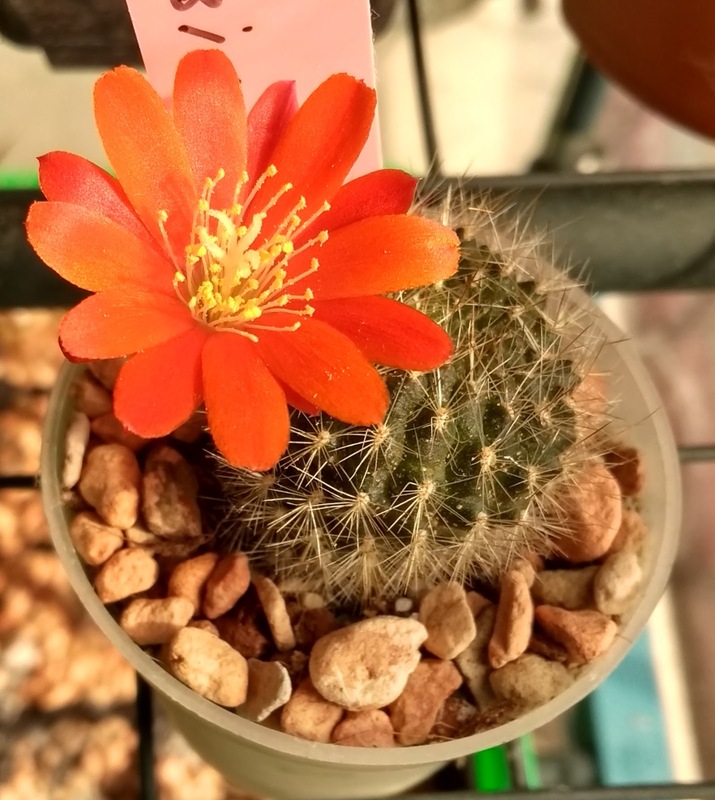 Since last time, he has asked me at least once a week about this cactus event. 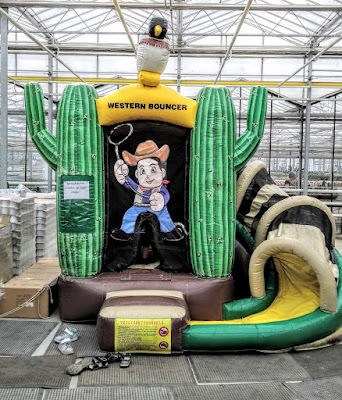 To understand the fun a three-year-old can have at a cactus show, you should know that it's inside a huge cactus nursery where there's a lot of space to run and even a bouncing castle for children to jump in. 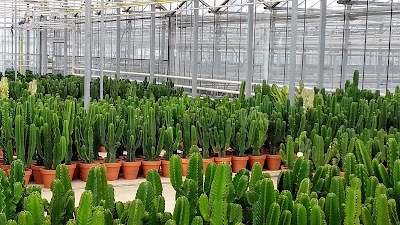 One part of the nursery was, as every year, made available for hobbyists to sell their plants. 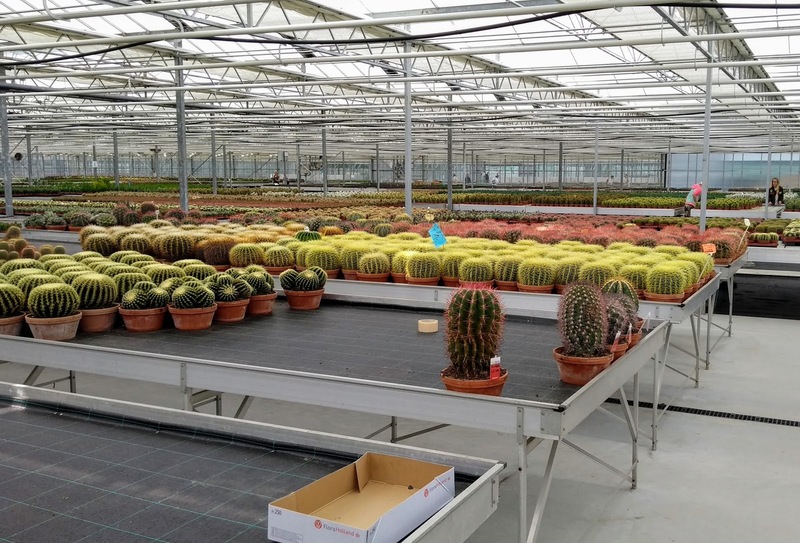 This is the part where you can find all the rarities and specialities and of course a lot of nice people. Arthur has won two plants for just walking by (and being cute I guess) while we were walking there. 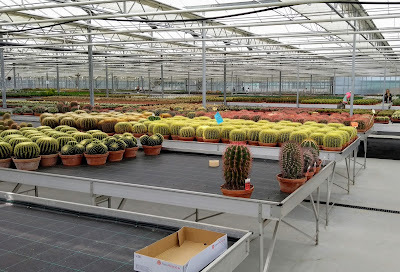 Keep in mind that this nursery is really HUGE and that these two photos only show you a very small part of it. 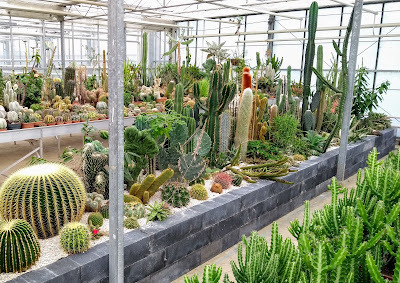 Instead of being focused on making photos, I was enjoying each and every minute there with my son and all the beautiful plants around us. 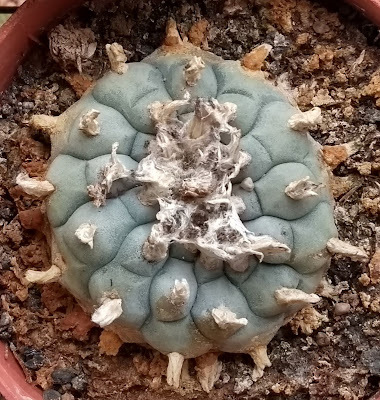 I´ve always been fascinated by the Ariocarpus family and this Ariocarpus retusus is a beauty. 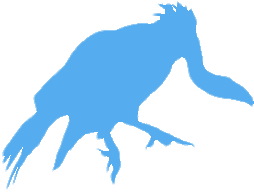 It´s a very strange looking fellow if you ask me. 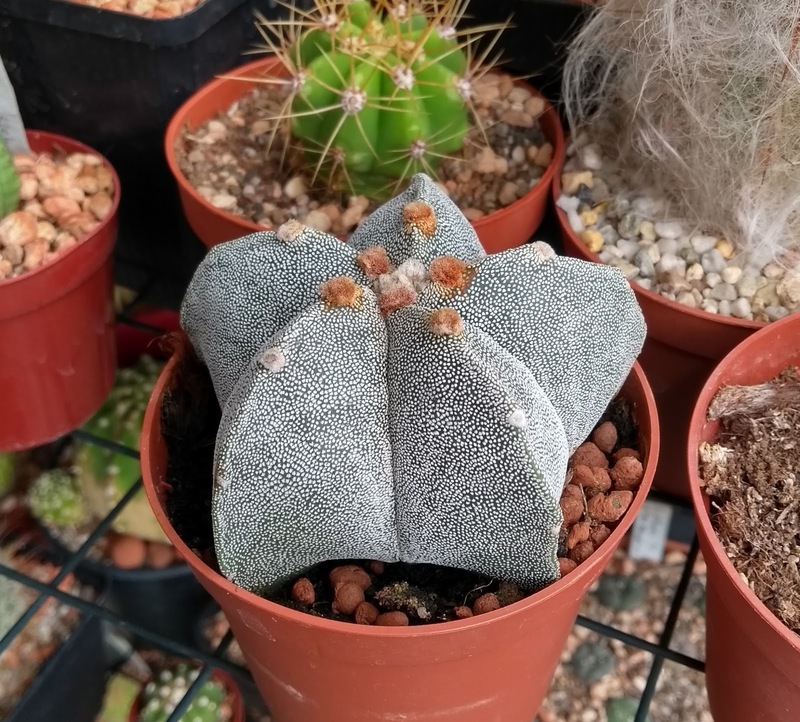 Very different from any other cactus and although it´s not very similar, I do think this family fits in well with my Lophophora williamsii collection. I could not leave this plant behind either. 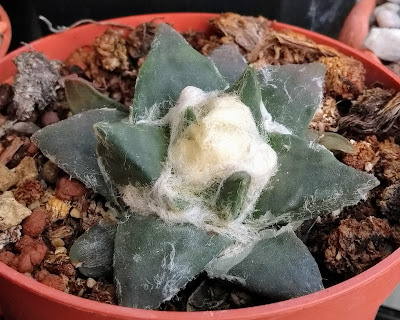 Astrophytum myriostigma is also known under the name ´Bishop´s hat´ and can be found in highlands of central and northern Mexico (and also in my little greenhouse now ;-) ). Do I have to explain why I've bought another Lophophora williamsii? Yeah, I like this species a lot. 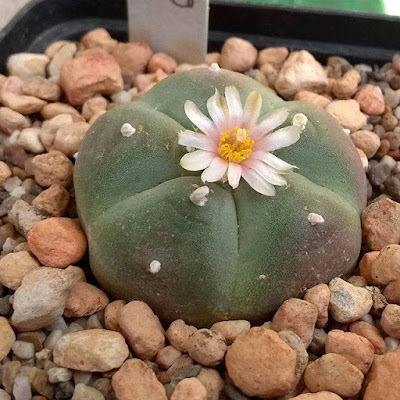 Talking about Peyote; my first bought Peyote has flowered this week for the first time! I've bought this plant back in 2009 while I was in Amsterdam with my wife. I have to admit that I didn't even know that it was a cactus at that time and I certainly didn´t know about all the cultural and psychedelic aspects! For us, it was just a funny and squeezable, succulent ball. Anyway, it´s flowering and that makes me happy. 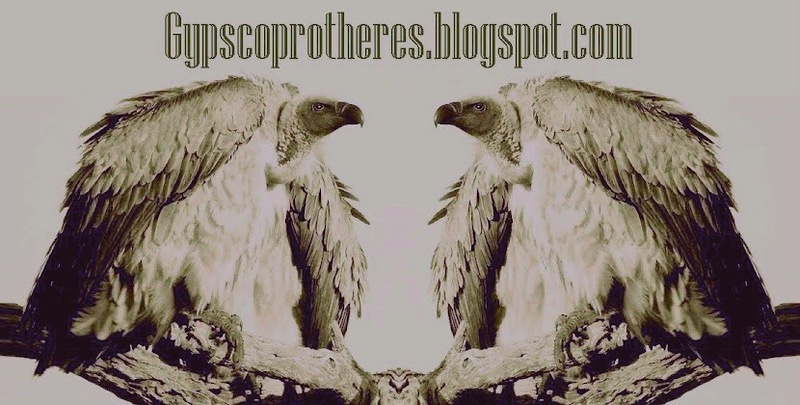 Thank you for checking out my blog and see you soon!